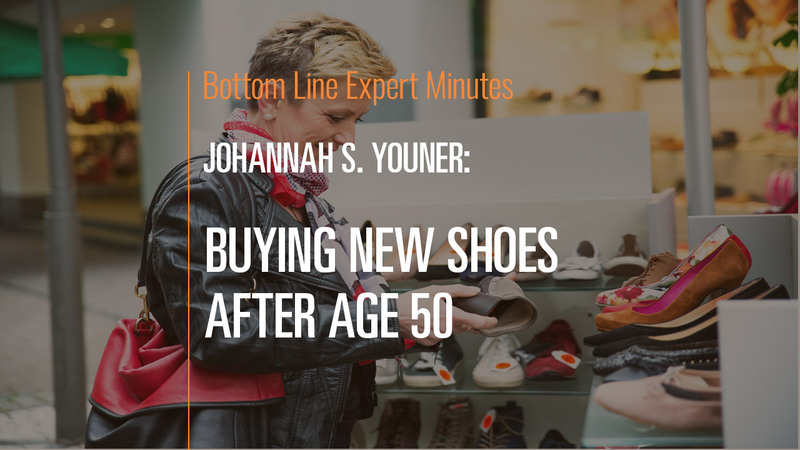 According to Dr. Johanna Youner, board-certified podiatric surgeon and a Fellow of the American College of Foot and Ankle Surgeons, almost everyone over age 50 should be buying new and bigger shoes. Why? Because as the foot ages, the ligaments stretch and that can lead to foot pain when wearing old shoes. Pain indicates that you need new shoes. Continuing to wear shoes that cause pain can cause debilitating foot problems.